2 armchairs 29 w x 26 d x 31.5 h with cushions, 1 love seat 29 inch w x 47.5 inch d x 31.5 inch h, 1 coffee table 22 w x 40 d x 18 h with glass top. 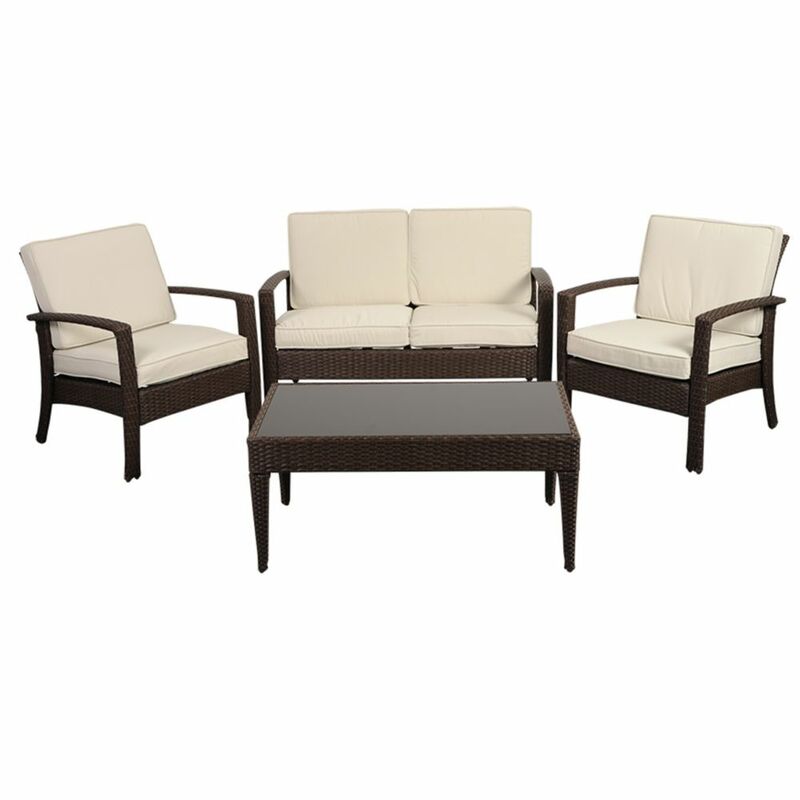 Armchair Seating Dimensions: 21 W x 21 D x 21 H. Sofa Seating Dimensions: 43 W x 20 D x 18 H.
Florida Deluxe Brown 4-Piece All-Weather Wicker Patio Conversation Set with Off-White Cushions The Atlantic Collection is the perfect match for any home. All of these sets are hand crafted from high quality resin wicker with rust-free aluminum frames and are held together with galvanized steel hardware. With our great workmanship and strong materials, we ensure sturdiness and longevity for this elegant collection. We use Durawood which is an environmentally friendly material that is built to last a lifetime.